Welcome to the professional’s section of the Wilmslow Golf Club website. This section of the website outlines the products and services my staff and I provide to members, members guests and visitors to The Wilmslow Golf Club. We pride ourselves on the quality of service and product knowledge we provide and I can guarantee that my prices and products available cannot be beaten. I was appointed as the Head Professional at The Wilmslow Golf Club in November 2010 and have already had great success in coaching many players of varying abilities in my year at the club, the junior team have progressed very well and gone on to win the Derbyshire and Cheshire Junior League for the first time in the clubs history, subsequently two of the squad have been awarded scholarships by the English Golf Union at Myerscough College. The new image of The Professional Shop has made a very positive impact with members and visitors to the club and we look forward to extending the best service and most competitive prices in the area to you very soon. I embarked on a career in the golf industry in 1998 when I started work for a golf equipment manufacturer learning the importance of club building/fitting and working with the sales and marketing divisions. I started my PGA training in 2000 at Vivary Park Golf Club in Taunton, Somerset and worked as Assistant Professional to Head Professional Mike Steadman. After three years I moved onto Taunton’s premier private members club, Taunton & Pickeridge Golf Club. I worked for Head Professional Simon Stevenson and developed myself as a coach and golf shop manager. In October 2007 I gained the position of Golf Professional at The Gleneagles Hotel and Golf Courses, the move to Scotland enabled me to add to my expertise in coaching, club fitting, golf retailing and event management. During my time at Gleneagles I assisted the European Tour and Tournament Director with the planning and organisation required for the 2008, 2009 & 2010 Johnnie Walker Championship and the 2010 Junior Ryder Cup. I was also fortunate enough to work with a number of high profile Professionals, Elite Amateur Golfers, Celebrities and renowned Tour Coaches. During my three seasons at Gleneagles I qualified as an NLP Master Practitioner and host regular workshops to groups and teams to help players with the mental aspect of the game and achieve peak performance. I am also available for one to one tuition on The Mental Game as I believe in a holistic approach to golf coaching. 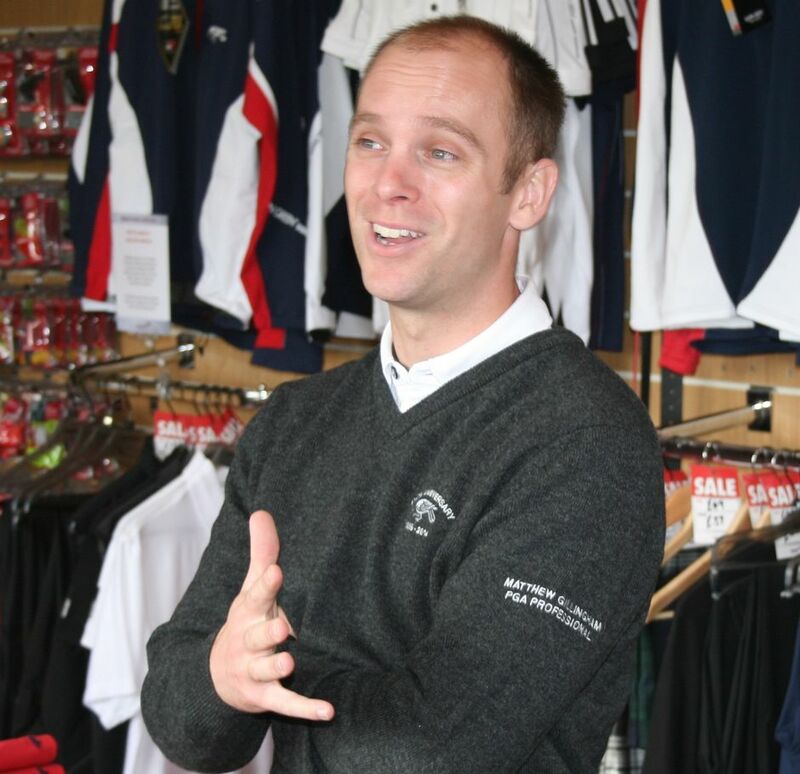 After a varied and comprehensive first Eleven years as a PGA Professional I will use all my skills, experience and knowledge from my previous roles to deliver exceptional PGA service at The Wilmslow Golf Club. I look forward to continuing to provide the members, their guests and all visitors to Wilmslow the best possible experience.